Congratulations to North Island Publishing Ltd., publishers of Masthead, for its successful launch of Designedgecanada.com and Design Edge Canada print magazine. It was created to serve the Canadian graphic design industry with news, a national job board, events calendar, contests, links and resources. Its companion e-mail bulletin is published every two weeks and alerts readers to what’s new on the website. The first issue of the print magazine is March/April, and the magazine is published six times per year with a national circulation of 7,500. Publisher is Doug Bennet, Editor is Ann Meredith Brown, Art Director is Michael Hewis. North Island also publishes the award-winning Graphic Monthly for the commercial printing industry, publishes Masthead for the magazine publishing industry, produces the Print World trade show, and publishes PrintCan.com and directories for the printing industry. Warrior, the feisty, colourful and almost indefinable Montreal-based magazine, is holding a cover design contest, deadline June 1. Details here. The magazine, which was largely controlled, has also switched to paid. Transcontinental Media is launching two special-interest publications (not to be confused with the maga-directories it is to produce in cooperation with the Yellow Pages): Western Living Condo, a 25,000 circ controlled spinoff from Western Living and an extra issue of Canadian Home Workshop called "Renovations". A more complete report is available at mastheadonline (sub requ'd). Here's an interesting promotional device from Britain, one we're not aware is being widely used in Canadian or other North American magazine launches: the "taster edition". It seems to be a cross between a sample issue and a free-standing insert. In this case, as reported in the Guardian, News International, Rupert Murdoch's behemoth publishing company (among other titles, the London Sunday Times) is giving away 2 million copies of a 28-page "taster" of its new InsideOut shelter magazine starting March 16. The taster will be distributed with the Sunday Times homes and travel magazines. The magazine itself (first launched in Australia) is a 180-page largely newsstand-sold monthly (at£3.20 -- approx C$7.50) about homes, interiors, lifestyle and the property market, what editor Lisa Helmanis, said was a "fresh approach to a tired sector". The magazine publishes its first article on North America. The assistant editor, Karen Dabrowska visited rural Canada: Pincher Creek and Crowsnest Pass in Alberta. It is an area of small towns which encompass a handful of once-bustling coal-mining communities, including Bellevue, Hillcrest, Frank, Blairmore and Coleman. They all nostalgically look back to the days when coal was king, preserve the past in local museums and look forward to a bright future as thriving small towns which attract the well do from Calgary in search of recreational properties. Glacier International Ventures Corporation has completed the acquisition of all of Hollinger, including its stable of trade publications. Here's a release from one the acquirees, with the details. Awards programs can sometimes weave a tangled web. Organizations apparently can't afford to pay for their own prizes without help -- and naming rights -- from sponsors. Sometimes those sponsors are altruistic, or interested only in promoting themselves as good corporate citizens. Other times, it's harder to tell. In some cases, things can be pretty cozy between the watched and the watchers. Take for example The Travel Media Association of Canada (TMAC). It represents professional magazine and newspaper travel writers and travel and tourism companies (there are 450 members, only 40% of whom are travel journalists) and, once a year, gives out some 17 awards, this time at TMAC’s 12th Annual General Meeting and Conference, which was held in Calgary. One of these awards, the "Excellence in Canadian Family Travel Writing Award", is sponsored by Days Inn - Canada. This year it was for an article written by Liz Fleming and published in the St. Catharines Standard. Fleming is described as a freelance writer and corporate writer through her own firm Liz Fleming Communications. She is also the Editor of Signature Travel, the inflight magazine for the charter airline Skyservice. Now, this raises a bunch of questions. One is whether, as a travel writer, Ms Fleming can ever again be entirely objective about Days Inn when writing family travel articles. Another is what is the relationship between her corporate writing and her, ostensibly objective, freelance work? The same questions could be raised about the other prizes, sponsored, and branded by, Fairmont Hotels, Starwood Hotels, Choice Hotels, Cayman Islands, and Vancouver Tourism. These are questions unlikely to be answered -- or perhaps even raised -- by TMAC, whose own website proclaims the close relationship between the industry and the people who write about it. And membership benefits in TMAC include 75% discounts provided by Air Canada and VIA Rail (two of the biggest travel companies in the country) to get to its annual conference. Members also get a preferred rate at the Choice chain of hotels. This is not to suggest that other awards programs -- most of which rely on sponsor income to a greater or lesser degree -- do so much better. But TMAC is a particularly good, or bad, example of how the sponsorship tail wags the awards dog. The next session of So You Want to Start a Magazine?, a two-day intensive seminar offered in Toronto by the Chang School of Continuing Education at Ryerson University, is scheduled for Friday, April 28 and Saturday, April 29. It focuses on the practicalities, templates and tools necessary to start a magazine successfully. To find out more, click on the heading or on the link at the right. Word is that Kathryn Swann, the ex-Money Sense publisher who went to Torstar to launch its celebrity mag Weekly Scoop has left the magazine, barely 4 months after its debut (see pic). Swann told the Globe and Mail today that she resigned, as a lifestyle choice, because of the hectic pace of the launch and its aftermath. Word on the street, however, is that, in the face of competition from the blizzard of celebrity titles on the newsstand, most of them U.S. and British, Scoop was not selling as well as Torstar expected. Unlike most Canadian titles, it wins or loses on the basis of single copy sales...This must raise questions about the viability of the Hello! franchise that Rogers is planning to launch next fall. The top 10 sub and newsstand gainers among Canadian titles has been extracted from the Audit Bureau of Circulation's Fas-Fax report for the second half of 2005, and published on the Mastheadonline site (sub'n required). The Globe and Mail today carries a profile by Val Ross of Lise Ravary of Rogers Media. It tells us little new, but it's nice to see a senior person in the business featured. The Canadian Freelance Union will be holding an open information session and public discussion in Toronto on March 2 at 7:30 p.m. in the Northern District Library (near Yonge and Eglinton). All independent contractors in the media, communications and public relations industries are invited. This includes freelance journalists, writers, columnists, photographers, illustrators, web writers, etc. The meeting is sponsored by the Professional Writers Association of Canada, Toronto chapter. The allure of the "new" seems to be affecting executives in the U.S. who choose how to allocate marketing dollars and the news is not good for traditional media like magazines. If a study of the attitudes of these senior executives is correct, reported in Media Daily News, they are going to divert something close to 10% of their spending towards new media and alternative marketing strategies that emphasize "buzz", such as word of mouth. Blackfriars Communications projects a 13 percent increase in overall marketing spending in 2006; this absolute increase might mitigate the large percentage fall in traditional ad budgets somewhat, but while companies allocated about 31 per cent of marketing budgets to traditional advertising in 2005, they are expected to spend only 22 per cent in 2006. Its based on the executives' dissatisfaction with the return on their investment in traditional means (such as on-page advertising). Paradoxically, they are switching away to largely unmeasurable and ephemeral alternatives. Osprey Media Income Fund continues to pay unitholders about 9 cents a unit according to its year-end financials just released. However, the newspaper and magazine chain, headed by Michael Sifton, appears to be struggling to keep up the payments. According to the data released as of December 31, 2005, the company had net income for the year of $23.6 million and was carrying forward a deficit from the year before of $14.4 million. Distributions to unitholders totalled $44 milion, leaving the company with a deficit at the end of the year of $34.8 million. In other words, the company's properties are not churning out as much cash as the the company feels obliged to distribute to its unitholders. This is one of the significant downside risks of unit trusts, which retail investors buy in order to achieve a steady stream of income. But in a business like this, that is subject to ups and downs of the marketplace, particularly advertising, it is sometimes hard to keep that payout tap open. Osprey owns a chain of community newspaper and magazines, mostly in southern Ontario including 21 daily newspapers (paid circulation), 38 non-daily newspapers (both paid and unpaid circulation), 7 shopping news (unpaid circulation) and48 magazine and specialty print publications (both paid and unpaid circulation), as well as 20 small and mid-sized telephone directories. A post last year detailed the purchase of the Town Group, including Hamilton magazine. The only national magazine it owns is Vines. Most of its other magazine titles are small, one-city or regional in nature. The majority of the company's income comes from its newspapers. Canada doesn't get noticed much by the New York Times, but oh boy did it catch their attention with the firing of the two top editors of the Canadian Medical Association Journal. On Monday, the CMA dismissed Dr. John Hoey, the editor and Anne Marie Todkill, its senior deputy editor. Graham Morris, the president of CMA Media, denied that the firings had anything to do with a dispute late last year surrounding an article about difficulties that Canadian women experienced in purchasing Plan B, a nonprescription morning-after birth control pill. But a couple of highly placed members of the editorial board said there was no other conclusion to be reached. Here is the story as it appears in today's Globe and Mail. Not that anyone thought it wasn't worthy of it, but at various points during Outpost magazine's early days, informed observers might have thought it would be a stretch for the magazine to last into its 10th year and to publish 50 issues. This is the milestone that the adventure travel magazine has reached with its just published issue and it is apparently going from strength to strength. The recent departure from the editorship of Chris Frey (he will continue as an editor-at-large), means there has been a complete turnover of staff since the magazine began in 1996. Matt Robinson, who joined the magazine in its second year to head the sales and marketing effort, is now the publisher. The magazine has a new editor, Larry Frolick, and is looking at the moment for a new art director. Great stuff, Outpost. Nothing like a good idea in an attractive niche and hard, hard work to get you where you're going. According to the Audit Bureau of Circulations Fas-Fax report issued yesterday, Maclean's magazine has a paid circulation as of the end of December 2005 of 369,486. In the second half of 2004, the comparable figure was 401,080 average paid; in the same period in 2003, 453,120. The year over year decline in subscriptions in the six months ended December 31, 2005 was about 31,909 copies, or about 8.1%. Single copy sales were up 315 copies, or about 3.5%. According to people close to the magazine, this is part of a "managed" decline and they are planning for it to settle out at about 350,000 paid. Ken Whyte became publisher of Maclean's in March of 2005 and the magazine's redesign was only launched in November of 2005. It is only fair to point out, therefore, that the figures for the second half reflect little of the effects of changes he has made to the magazine. 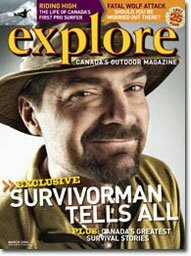 Time Canada saw its subscriptions increase about 1,497 copies an issue on average in the second half of 2005, but its single copy sales decreased by 513 copies. Online subscription agents: Naïveté or phraud? Is your magazine being sold to the public without your authorization? It appears that some folks think they can hang out a shingle (URL) and start selling magazine subscriptions online. The snag? They may not realize that (in Canada, at least) they require authorization from the publishers in order to do so. The authorized agency was reminded that it had not been authorized to clear subscriptions from third parties without prior approval from the publisher. And, when requested, the third party took the magazines in question off the website's magazine listing. But how much of this is going on out there? This was a reminder to all circulators that we should periodically check for online merchants we've never heard of. If you're worried by what you find, contact the website directly and request that they remove your title(s). If you want to know which agency is clearing those subscriptions, enter an order for yourself, with a variation on your own name, and see which agency sends the order to you. Remember to ensure that your subscription agency authorizations outline the approved prices and remittance percentages, sales methods and terms, whether or not third-party clearings are allowed, whether renewals can be promoted, and (yup) list usage terms (I was surprised to find one online subscription agency that actually rents out names of Canadians who have subscribed to magazines through their site!). The Magazine Publishers of America has published some handy tips (go here) for what you may want to include in new or existing subscription agency authorizations. The one victim in all of this is Colleen Klein herself, dragged into a political war. We apologize our report of that outrageous racist comment hurt her feelings. I personally wrote to her two weeks ago to tell her that. But we can't apologize for reporting on the bitter feud between those who want Klein to stay and those who want him to go. Solid Waste and Recycling Magazine promises editorial comment in its February-March issue about the failures of the Ontario recycling program. It is giving a taste on its website where it publishes a summary report and an opportunity to download a letter from O-I Canada Corporation, a wholly owned subsidiary of glass and bottlemaker Owens-Illinois. "While low-weight packaging with a low recovery rate certainly offers the LCBO lower applicable stewardship fees," says O-I, "it comes at a tremendous cost to Ontario's environment and economy." Interesting panel at the forthcoming Canadian Media Director's Council (CMDC) on Mining Growth: Discovering Potential in Media Mayhem taking place on Tuesday, March 28 in the John Bassett Theatre of the Metro Toronto Convention Centre. The full day, with several panels and individual addresses, is $495 ($425 if you register by Feb. 28th). A panel of media CEOs will be moderated by Michael Vaughan of ROB Television and includes Nick Arakgi, General Manager, Viacom Outdoor Canada; Michael Goldbloom, Publisher, The Toronto Star; Paul Ski, Executive Vice President, CHUM Radio; Peter Viner, President & CEO, CanWest Media Works; and Ken Whyte, Publisher & Editor-In-Chief, Maclean's magazine*. So, a friendly chat among managers of billboard, newspaper, radio, online and magazine businesses. The term "hybrid magazine" is new to us, but it's the phrase being used to describe the joint venture between the Yellow Pages Group and Transcontinental Media in the projected launch in Toronto and Montreal of two, new, as-yet-unnamed, magazines -- one in the home improvement/homes/shelter category, one aimed at aging boomers and their families. The Yellow Pages Group is Canada's largest telephone-directories publisher. Annually, it publishes more than 330 directories and alphabetical pages in markets that cover 93 per cent of the Canadian population. It is wholly owned by the Yellow Pages Income Fund. Fourth-quarter net earnings for Yellow Pages improved 7.4 per cent to $41.2 million, on annual revenues of $922.9 million. The new magazines will have how-to content and a directory where services can be found. Depending on the success of the magazines, there may be more. This is not the first time that the Yellow Pages has ventured into magazine publishing. A few years ago, it started a controlled quarterly magazine and city guide called Toronto This Season. It lasted a little more than a year and failed to find an audience. The announcement of the new venture follows fairly quickly on the heels of the deal between Rogers Media and Canada Post to publish a shelter book, starting this fall. At the time, the word "hybrid" wasn't used. For those magazines who thought that the recent decision to give charitable status to The Walrus Foundation (after a bruising, and expensive, two-year battle that went all the way to the Finance Minister's office) was going to loosen up the rules for other magazines, think again. It pivots around the extraordinarily old-fashioned notion of what "education" is (one of the arcane grounds upon which an organization can be considered a charity). As any reader will see, the "Policy commentary" essentially leaves things exactly where they were: a company whose principal business is publishing a magazine must still convince the boffins in Ottawa that their principal goal is public education and betterment. And the interpretation of the definition rests with the bureaucrats. The further you go into this area, the more arcane and arbitrary it seems. Magazine publishers who now have such status can never be sure they will be allowed to keep it. And those who don't have it can never be sure on what basis they could be given it. Every little fundamentalist church in Canada can get this status almost without effort. But Maisonneuve and other magazines like it have a fight on their hands. If ever there needed to be a thorough public review and a new law of charity in this country, now is the time. And forget about precedents. As the policy commentary says: Each organization is judged on the merits of its own application. So, saddle up your lawyer and ride into battle. According to a report in the Wall Street Journal, the acquisition cost of each of the subscribers to XM Satellite Radio was an astounding $US141 in the last quarter. It's likely to be similar at Sirius* as the two companies are locked into a ferocious battle to sign up users. This should make magazine circulation directors everywhere feel a bit better. On the other hand, that's less than a year's subscriber fees at US$13 a month. So maybe don't get too cocky. Consumers in Britain were asked what medium they'd least like to do without and said: Regional Press 20%, National press 14%, Magazines 8%, Internet 4%. I have no idea what this means. It's part of a presentation and report by the World Association of Newspapers, so perhaps it should be taken with a grain of salt. The full text of the presentation is available for reading, printing or downloading. The report also explores the sustained importance of reading. In addition to getting into the sale of traditional media, including on-page advertising in magazines, Google is also considering creating a "backchannel" way of measuring the ads' effectiveness. This could involve putting URLs into text or print ads and driving readers back to Google in some way whereby their exposure to the ad's message could be tallied. The outcome of such a system might be that only ads for which a reader was willing to go to the trouble of clicking back, as it were, would be measured and regarded as effective, regardless of their actual effectiveness in building brand awareness or sales traffic. Booga-booga. The current issue of Explore magazine (Quarto Communications) has definitely joined the good guys by switching to 100% post-consumer recycled stock. Editor James Little says the switch saves 1,034 trees a year, conserves 1.3 million litres of water, reduces solid-waste production by 87,600 pounds and cuts CO2 emissions by more than 200,000 pounds. If you want to know more about forest- and planet-friendly magazine paper, check out our earlier item on Markets Initiative. The reconfiguing of St. Joseph Media and its properties proceeds apace as it has been announced that associate group publisher Susan Zuzinjak is leaving Toronto Life as of Friday. The announcement was made today. Zuzinjak has been with TL for 8 years, and was deeply involved in the marketing of the magazine. Do they have him at Hello? Word is that Christopher Loudon, the VP and Editor-in-Chief of Kontent Publishing's Inside Entertainment has the inside track to be the new Editor of Rogers' Hello! magazine franchise (see our December 1 posting for details). Loudon was previously Editor of TV Guide. The Canadianized version of the magazine is due to launch this fall with a staff of 10. Now we may know what it has really cost Ezra Levant to have published the Muhammad cartoons in Western Standard magazine. And regardless of whether you think his decision was impassioned principle, or vainglorious opportunism, it could be very expensive. Air Canada seems to have pulled 7,000 copies from its flights and its lounges. That represents perhaps 25,000 to 30,000 claimable readers. Bouquets of Gray spotted the change in the magazine's online media materials. If the decision is for just that issue, it's a big nuisance. If it is for good, however, it would be a disaster. These copies not only count as paid circulation, but also high quality business readership that the magazine has promoted heavily in its advertising pitch. Western Standard publisher Ezra Levant has published the infamous Muhammad cartoons in this week's issue of the magazine. And, of course, immediately the blogs and the papers and the other media were into full-scale motive attribution: it was a cooly calculated ploy; a courageous strategy to defend freedom of the press; or an outrageous and racist attack on Islam. Take your pick. Since no one can truly know Levant's motives, they can only go by what he has said and written. And, at the risk of distorting by paraphrase, it would appear that he thinks this is a question of moral courage and that he has it, while the so-called "mainstream media (or MSM for short)" lacks it. The gesture seems a week late and a dollar short. Anyone with a smidgen of initiative and a web connection saw these rather lame caricatures more than a week ago. But, as empty gestures go, we should defend his right to make it. And to condemn retailers who have refused to display the issue because of a spread inside. That's just wrong. FYI, Joyce Byrne has commented on this in This Magazine's blog. Ottawa blogger Mark Bourrie is being sued by fellow blogger and Liberal gadfly Warren Kinsella, (who has just begun his gig as media columnist for the National Post). Journalists shouldn't sue other journalists. If they're annoyed, they should write about it. To use a parenting term: you have words, use them. On its surface the February 13 press release seems to say that things are tight, but still OK for the TVA Group, the largest publisher of French language magazines in Canada. The company is the highly diversified media arm of Quebecor, with interests in television (it owns SUN TV) film and publishing of both the traditional and web kind. The company (TVA.NV.B) announced net income for the fourth quarter of 2005 of $8.7 million compared with $17.4 million in the same quarter of 2004. Pierre Dion, President and CEO, said: "The fierce competition that is prevailing in Quebec's magazine publishing market and our desire to protect our market shares resulted in an operating loss for this sector during the quarter. We are making every effort to alleviate the impact of this competition, while sticking with our strategy. " A friend points out that, while it is sometimes difficult to parse results for large, publicly held companies, the release reveals in a footnote the actual performance of the publishing division-- not only a $7.6 million reversal for the company for the quarter, but also a drop of $15.4 million in profit for the full year. Put another way, its publishing division has gone from making $15.6 million in 2004 to barely breaking even in 2005, on essentially flat revenue. TVA publishes about 45 titles, including Echos Vedette, Clin d'oeil, 7 Jours, tv Hebdo, Renovations chez-soi, Femme, Lundi, and Star Inc.
UPDATE: For another perspective, here is Mastheadonline's take on the reasons behind TVA's losses. Is 2006 to be the year of the "mobizine"? British Glamour (Britain's best selling magazine) and Gentlemen's Quarterly (GQ) are launching dowloadable "mobizines" that can be read on mobile (cell) phones. (Mob- is pronounced MOBE), according to the UK Press Gazette. Read about it here. The teeny-tiny pages will not replicate the parent title, but will feature "sections" adapted from the main magazine. Unlike "celeb alerts" and other bulletins sent to cell phones in real time, the mobizine is the first format that allows readers to download material to be read without a network connection. It's automatically updated each time a new edition is published. Abigail Chisman, editor-in-chief of GQ and publisher of Condé Nast's interactive division, said: "Mobizines allow us to reach our most loyal readers directly so they need never be without us." CanWest Global Comunications is going to court to challenge restrictions on its right to carry prescription drug advertising. It filed and application in Ontario Superior Court, saying the laws governing drug advertisements offend charter rights, threaten freedom of expression in Canada and are unjustifiable "in a free and democratic society." The CanWest court action, while probably encouraged by other media, is being undertaken solely by the company. Now, we're all in favour of new magazines and wish almost all of them well. And we know there are all kinds of audiences out there. And not everyone's taste is the same. But don't you have to wonder at the mentality of The Official CFL Magazine? It's on newsstands now and there is no other way of describing it except as old-fashioned cheesecake. It is largely pictures of professional football team cheerleaders. It is the off-season, of course, and there's not much Canadian football to talk about. But if this magazine ever wants to get more than its current 6,500 subscribers, it may have to set its sights a wee bit higher. The magazine is published by the Edmonton-based publishers of Report magazine (an advertorial business book built out of the ashes of the old Alberta Report). Apparently, last year (the cheerleader issue is issue 5) they convinced the CFL that what it needed was a magazine. Could this, embarrassing product be what the Canadian Football League had in mind? Google is testing a new system whereby online advertisers would bid for on-page national ad space in a range of major consumer magazines. Reported in MediaPost. Should ad reps stop buying any green bananas...? NEW YORK -- Kate White, the editor-in-chief of Cosmopolitan has some rules about covers and she shared them this week at the 20th Annual DMA Circulation Day. What is normally a fairly technical discussion among direct marketing associates (hence, DMA) about rate bases and auto renewals, turned into a lively seminar about what makes good Cosmo covers tick. For instance, her second rule is to choose your own cover "cocktail" -- what goes into giving your cover its persona. Take the model. White's yardstick is simple. "Would I or one of my readers want to drive cross-country with her?" she said. "I wouldn't put Sharon Stone because at the very least, when you got home, she'll steal your boyfriend." To read the rest of White's rules, in a report from DMA Circ Day, go here. Futurist-about-town and author of umpteen books, Jim Carroll, was chosen to give the curtain-raiser speech for the Ontario Media Development Corporation annual conference, Six Degrees of Integration, on Wednesday evening in Toronto. This is a by-invitation gathering of leaders from various media, including books, magazines, television, film, video, sound recording and multimedia. What they got was a headlong scolding for being a) too old, b) too timid, c) too protectionist d) not understanding how fast everything is changing and e) resisting inevitable change. Like some corduroy Borg, his message was repeated over and over -- essentially that you guys don't get it. And resistance is futile. It was a presentation (to call it a speech would be inaccurate) long on generalities about the pace of change, the appetite for change, the boomers' resistance to change, all built around a thesis that had something to do with scientists soon being able to "stop light" and thereby open up bandwidth exponentially. It was wrapped in a globalist, individualist, almost Ayn Randian veneer and curiously illustrated with a weird assortment of family pictures and unfunny cartoons. Most of the people in the room have businesses (like magazines) built upon creation of content and deriving profit and growth from that content. They have a big investment and carry enormous risks. Yet Carroll essentially dismissed this and all old-fashioned ideas of copyright, creators' rights and ownership of cultural intelligence. Old hat. Doomed. Good riddance. His talk was absent of specifics about what these people could do to make the transition from their current business models, something that you might have expected from such a keynote. It is all very well to say that current business models are rubbish and headed imminently for oblivion. It is quite another to give not a single suggestion about how to keep the heat and light on and pay employees' salaries and mortgages while plunging into the fast paced and accelerating future. No, such considerations are merely symptoms of an ingrained resistance to change. But there wasn't much about how to adapt to accelerating change, beyond bromides about observing, being open to new ideas and making good decisions. Pu-leeze. The crowd applauded politely. But many could have been forgiven for wondering if Carroll has hit upon the profitable trick of talking in riddles, but leaving to his listeners all the hard work of actually doing something, making money and jobs while running coherent businesses. His audience know that they can't throw out their current business models unless they have new business models that will work. And the only example he gave of a new business model wasn't: he self-publishes his books now and sells them on Amazon.com. Toronto Life and the City of Toronto are jointly presenting a 10-month series of portraits of key champions of the arts in the city. As part of the 40th anniversary of the magazine and Toronto's Live with Culture campaign, starting in March the magazine will feature Face the Arts, photographs of individuals "who, through artistic promise, achievement or vision, [have] enriched the cultural life of the city both now and for future generations." The portraits, by well-known photographers, will be accompanied by text written by Toronto Poet Laureate Pier Goorgio Di Cicco. The first person featured is Adonis Huggins, a community arts activist (particularly in Regent Park) ; photographed by Tony Fouhse (a 2004 National Magazine Award winner). To read more about this, here is the news release. National? Or local? It has been a debate in the crowded, creative nest of Maisonneuve magazine in Montreal for some months and it apears that it has come down firmly on the side of morphing into Canada's newest city magazine. Starting in September, it will focus on young, hip and happenin' English readers in Montreal, though it will continue to circulate single copies nationally. It's all a matter of money. National advertising is hard to get for a magazine with a relatively small and diffuse circulation; retail advertisers in Montreal have been reluctant to go into a magazine the majority of whose copies go off-island. It was, to use the Maritime expression, time to fish or cut bait. The new Maisonneuve plans a comprehensive direct-mail campaign in the spring and fall of 2006. Projected circulation for the fall launch is 30,000 with 20,000 paid, for a total readership of 240,000. Masthead magazine's online service (sub. requ'd) has an excellent report today (probably by Editor Bill Shields, though it's not credited) on the speech last week by Maclean's Publisher and Editor Ken Whyte to a conference at the Rotman School at U of T on the subject of turnarounds. Go here to read the whole report, which has Whyte joking that he says Maclean's is a magazine with the mind of the Economist and the body of People magazine. Next month, we will start to see the real metrics -- the first full circulation figures for the magazine in the Whyte era. Beverley Oda is the Minister of Canadian Heritage in the new Stephen Harper cabinet. 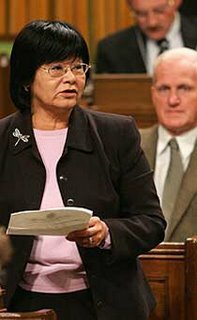 As such, she is responsible for administering the government's magazine policy, including the Publications Assistance Program (PAP) and the Canada Magazine Fund. Oda, a former teacher and broadcaster, MP for Durham, and the Conservative heritage critic, has been heard to muse about the future of the CBC, which must give the Mother Corp some pause, but there is no indication, yet, that she's going to dismantle existing support mechanisms for magazines. She is one of the few women in the Harper cabinet. There was a time when TV magazines were hot stuff, fat with retail advertising, competitive in the marketplace and vital to the menu of offerings of a daily newspaper. If ever there was proof that this time has passed, it was this past weekend's edition of Globe Television, a magazine slimmed down (some would say stripped down) to a shadow of its former self. In his opening column, Editor Andrew Ryan gives all the reasons for doing this except the one that really counts -- saving money. "The result is a tighter listings package that covers a broader range of viewing options, while saving readers time and effort," says Ryan. Maybe so, but when they say it's the principle, not the money...it's the money. Last week Globe Television was 60 pages. This week, a mere 28. "Your Guide to the Best on TV This Week" is printed on a slightly higher, brighter grade of newsprint. But if you throw it on a coffee table, there is no thunk; it drifts down like an autumn leaf. It's true that changing habits mean that publications have to change with them. And the recent travails of TV Guide in the U.S. and in Canada suggest that the days of listings magazines are numbered. Digital subscribers tend to use on-screen or on-line guides, for one thing. And, with the launch of its redesigned (and still buggy) website, GlobeandMail.com, the Globe is trying to lure TV viewers to supplement the slimmed down guide with more expansive online listings and with e-bulletins they can subscribe to about their favourite shows. Gone are daytime listings, late night listings, digital listings and various highlights columns such as The Critical List (pocket reviews of a range of different programs). Gone are mini- or multiple features (there is precisely one, two-page cover story*.) Still there are highlights of sports, movies etc. Each day is a spread, with "Pick of the Day" on the left and a prime-time grid in running order, although unless your program makes the cut for "Pick", you'd not know what a program was about. Gone, too, are a staple of the magazine, house ads for various Globe features and products. By cutting its page count by more than 50%, the Globe probably cut its total costs for Globe Television by about 20 - 25%. Better matching its product to the needs and changing habits of its readers is part of it, of course, and it makes for more palatable rationalizations about why regular TV watchers and Globe subscribers are paying the same for their Saturday paper and getting less. *It's one of the quirks of TV that popular shows die while mediocre ones go on forever, making lead-times of any TV mag perilous. So, the brave, new Globe Television has a cover story about a dead TV show ("Arrested Development"). The $50,000 Premier's Award for Excellence in the Arts has been announced by the Ontario government, recognizing outstanding achievement and contribution to arts and culture in Ontario by an individual or group. Nominees must be engaged in a professional arts practice including arts, crafts, dance, music, opera, theatre, visual and media arts, writing or cultural industries such as book and magazine publishing, digital media, film, television and sound recording. The recipient of the award will receive $35,000. An additional $15,000 will be given to a promising newcomer in the same field who will be chosen by the recipient. To read more about this, go here to see the government's release. Is that a glimmer of light? Mastheadonline has done a great service by getting on the blower and asking for answers from Canada Post concerning its recently announced publishing deal with Rogers Publishing. It sounds a little like they are offering some sort of co-op mailing for subscription efforts as a sop to the aggrieved competitors. But how this deals with the competition for the valuable shelter advertising dollars is not at all clear. As Masthead says, stay tuned. The Rotman School of Management at the University of Toronto is hosting a conference on February 3 called Rebound: Staging a Comeback that Lasts. One of the panelists who will be talking about "what it takes to face up to the unique challenges of a turnaround situation and craft a new strategy for lasting success" is Ken Whyte, the Publisher and Editor in Chief of Maclean's. Is the magazine quite far enough out of the woods yet to be risking such hubris? Interested members of the public may register here. UPDATE: Ken Whyte wants a distinction made between the title of his talk and the title of the conference: "The topic of my address, at Rotman's request, is "Macleans: Re-positioning the weekly news magazine in an instant news era." The title you mention is the title of the conference." You guys want to be alone? Department of backscratching: Here is Paul Wells in his Inkless Wells blog at Maclean's, who was praising the Rebel Sell blog of new columnist Andrew Potter. And here is Potter, oozing admiration for Wells's recent roundup of the federal election, which Potter calls a "thoroughly rewarding first draft of history". "There's just something I find very compelling about high-quality journalism with good design, all in this one tangible magazine," says Joe Mansueto, the CEO of Morningstar, an online entrepreneur and the recent acquirer of Inc. and Fast Company. "To be successful in the magazine business today, you need to be much more than a magazine. It needs to be a platform [with] Web sites [and] all these ancillary businesses."